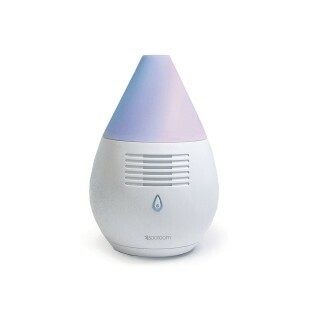 Create a fragrant environment with the touch of a button! Bold performance with a silent fan to diffuse your choice of essential oils. No water, chemicals, or heat needed. Simply add essential oil to the level of strength you prefer. Silent fan disperses fragrance within a range of 100 square feet. Can be powered by battery or electric. Operates on 4 “AA” batteries (not included). Complete with USB cord and 3 replaceable absorbing essential oil pads. Unique design boasts therapeutic color with revolving LED lights. Used this in our small sensory environment and it works perfect! No cords to mess with or worry about. Well I started with a couple drops of Cinnamon just in my office which is about 80 Square feet With the door closed Connected to a USB outlet For 5 hours and I still cant smell it. Merchant response: Thank you for your recent product review, we value our customers feedback. Based on this review we tested a large sample of the Scientifier Aromatherapy Diffusers and could not replicate this issue. We recommend that you check the strength of your batteries and ensure that only 100% pure essential oils are being used in the diffuser.